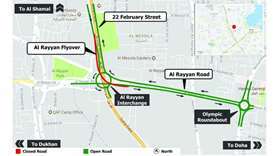 The opening of the intersection marks the completion of the third and final level of the East Street 33 Interchange, a brand-new multi-level junction and one of the five interchanges being constructed as part of the Rawdat Al Khail Street extension project, the authority has said in a press statement. The completion of the final level of the East Street 33 Interchange is one of the major milestones achieved on the project in the last two months, the statement notes. 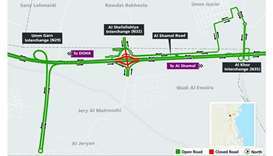 Ashghal had opened the Industrial Area Road flyover to traffic in May and the East Industrial Street underpass in June. 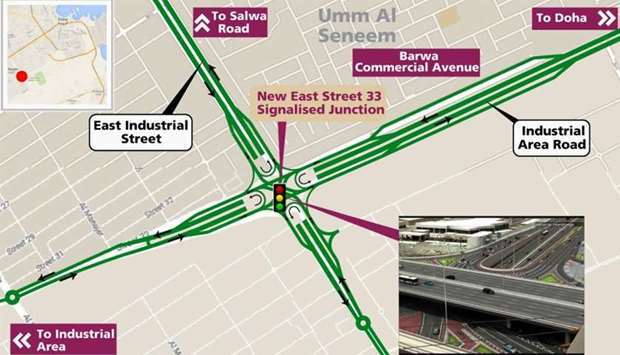 Located near the Industrial Area, the completed East Street 33 Interchange replaces Al Watan Roundabout and now provides road users travelling on East Industrial Street and Industrial Area Road with options to travel in all directions between Salwa Road, G-Ring Road, the Industrial Area and Al Thumama. The opening of the interchange will directly benefit key local stakeholders in Umm Al Seneem and the Industrial Area, Ashghal has stressed. 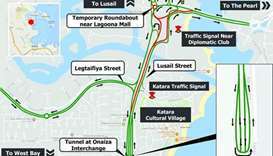 It will also ease congestion on Industrial Area Road and is expected to reduce travel time between the Industrial Area and Al Thumama by approximately 50% during peak hours. Further, Ashghal has said the interchange will also make it easier for motorists to access key commercial and public areas, such as Barwa Commercial Avenue, Labour City and other popular venues such as Qatar Racing Club and Asian Town. 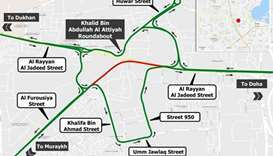 The 12.5km Rawdat Al Khail Street extension project will serve a vital area comprising a large number of commercial and residential properties such as Barwa Commercial Avenue, Abu Hamour, Ain Khalid and Umm Al Seneem.